Flush-type casements are found in some very early properties and the popularity of the style has persisted, right up to the Edwardian era and into modernist and contemporary properties. Our architecture is very diverse. As skills and materials developed over the centuries, construction methods changed. Homes became larger, lighter and more comfortable. That’s still happening, and it always will, but some building styles have remained perennial favourites. Thatched cottages and timber-framed houses don’t just exist in our memory. They, like other heritage homes, are part of our history and our current housing stock. The old is here to stay! We are living in an era of minimalist style. Clean, simple lines are everywhere, but this isn’t new. During the 20th century, many designers embraced new ideas, changing the rules about detail and ornamentation, about light, angles, curves, even about building materials. Unusual homes are everywhere, in our towns and cities, and nestled in the countryside. Architects are drawing plans and homeowners are choosing a different type of home. 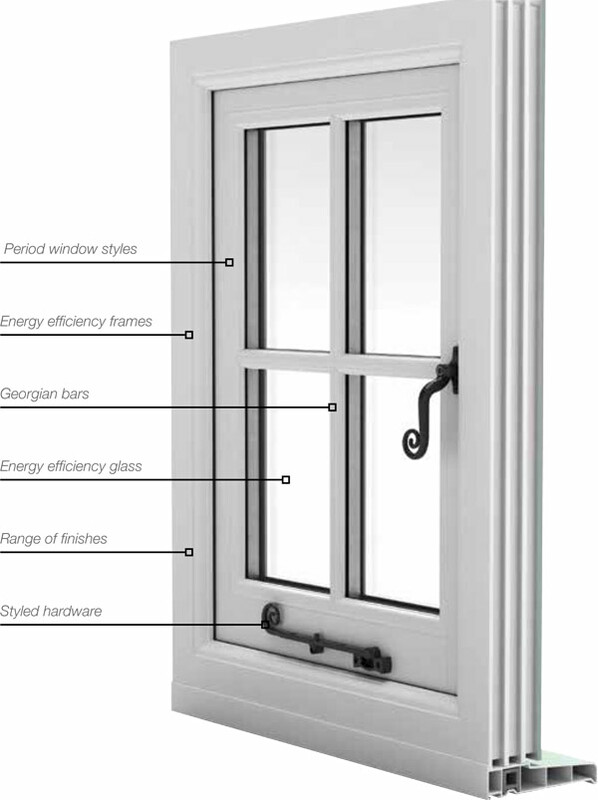 A casement window is one where the opening pane is held on hinges within a frame. That’s all – nothing complicated about it. The design has been around for centuries. They are the most common style of window in the UK, where most of them open outwards. The ‘flush’ part of the description only means that the opening part of the window doesn’t project out from the frame, but lies flush with it. 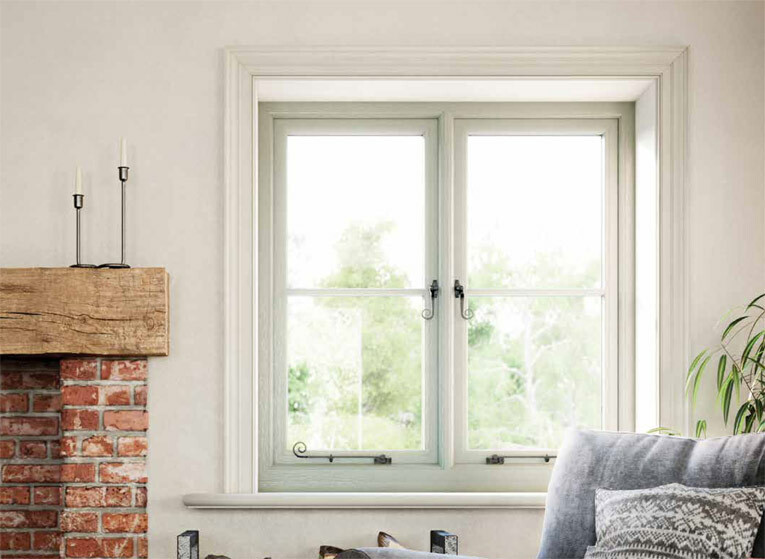 Flush-type casements are found in some very early properties and the popularity of the style has persisted, right up to the Edwardian era and into modernist and contemporary properties. Over the years, they have been variously plain and simple, or ornamented with finishing trims and feature glazing. A flush casement really is a design classic. And now that they’re available with performance to match their good looks, they’re guaranteed to remain popular for a very long time. With a simple window design, every proportion has to be just right. The window’s individual components, its sashes, mullions and transoms have to work together to form a perfect whole. The shape is chamfered on the outside to shed the rain – just like the timber originals – and indoors you can enjoy the decorative sculptured shape. Traditional colours relied on natural pigments and minerals. They work well with stone, aged brick, flints and lime-based renders. 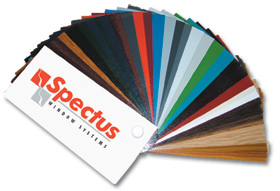 That’s why our colour palette contains a range of finishes specially chosen to suit heritage properties. Alongside those you’ll find finishes that replicate the shades and grain of timber. If you want a different finish for inside your home, that’s possible too. Window fittings have changed over the years. Mass production has taken over from the skill and craftsmanship of the blacksmith. But for heritage-style windows, maintaining the appearance of traditional fixtures is a must. Even though our Flush Casements have their own friction hinges, we’ve still got the right type of ironmongery to finish the job. 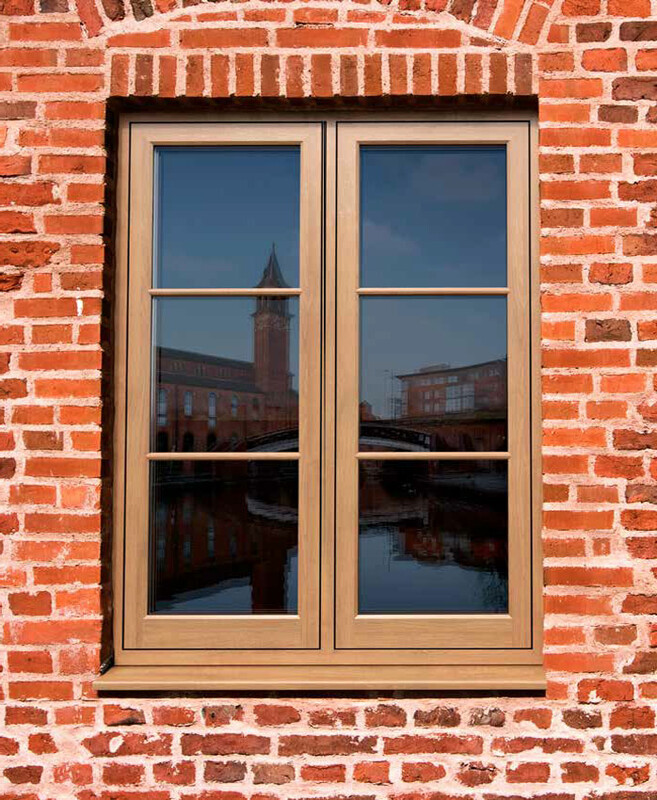 Available in a large range of colour and woodgrain foil finishes allowing customers to match their windows to the age and style of the property. Standard colours include White, Cream, Rosewood, Light Oak Customers can mix and match, for example; opting for a woodgrain finish to the exterior and white on the inside. A wider range of RAL colours can be achieved with modern paint applications.